I couldn’t immediately work out where the link to the resource actually was (it’s the dark blue backgrounded area top left, the sort of colour that for me gets pushed in to the background of a page and completely ignored, or the “open link in new window” link); I expected the value of the “Type of Media” attribute (eg “PDF download” in the above case) to be the link to the resource, rather than just a metadata statement. What on earth is going on with the crumb trail… [ 1 ] [ 2 ] etc to me represents page numbers of a kind (eg first page of results, second page of results) not depth in some weird hierarchy, as seems to be the case in this site? The comment captcha asks you “What is the code in the image?” Erm, code???? Do I have to decipher the captcha characters somehow (some Captchas offer a simple some for you to calculate, for example)? Erm… What do I do? What do I do??!?!!? I got a bit confused at first that the page was just using redirects rather than direct links to resources – the “Visit and rate this resource” link is a redirect that loads the target resource into a frame topped by a comment bar. (I didn’t spot, at first, that the ‘open in new window’ link points directly to the resource. And, erm, why would I open in a new window? New tab, maybe, though typically I choose to that via a right-click contextual menu action if I don’t want a page to load in the current tab? The “Add a comment” call to action (again, deep blue background which pushed it away from my attention) opens a comment page in a new tab… I think I’d have preferred this to open within the context of the top bar, so that I could refer directly to the resource within the context of the same tab whilst actually making a comment? 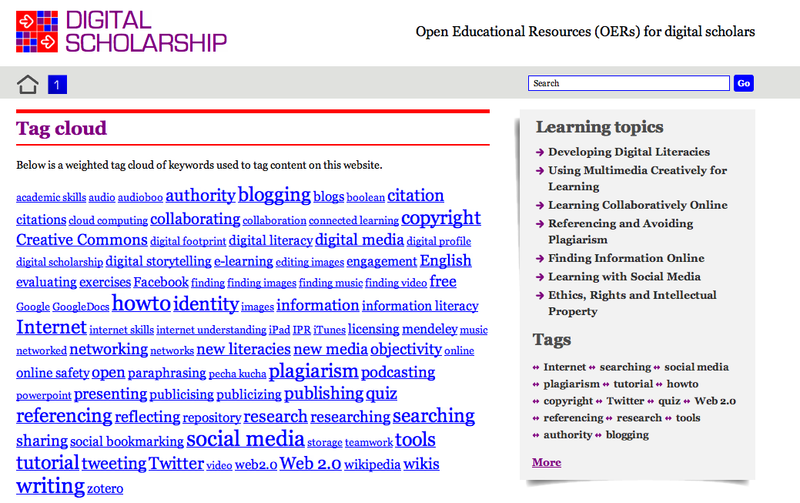 PS Martin Weller has blogged a short note about the process used to identify OERs included in the site here: Two OER sites for researchers.